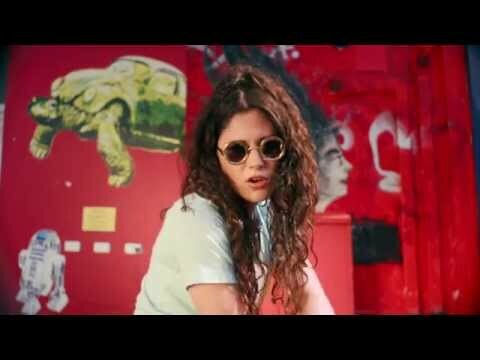 British singer Eliza Doolittle makes her long awaited return to the indie pop charts with the release of her new single, “Big When I Was Little.” RSA Films and Black Dog UK director James Copeman helps Doolittle look back at the decade-ending era of her childhood with a suitably vibrant video for the sunny track. The Fair Lady takes it to the neighborhood streets, performing on stoops and dancing with friends in a series of 90’s-inspired outfits while reminiscing about bygone days of cassette tape singles, Super Nintendo and Smirnoff Ice. The colorful clip ends with Doolittle wearing a bedazzled bikini at a nighttime pool party, making a befitting splash for the new feel-good single of the summer.